Over the past couple months, our loyal blog readers have learned a lot about the penguins and their exhibit at the New England Aquarium. Well now we'd like to tell you a little bit more about ourselves! My name is Andrea and I have been a penguin biologist here at the Aquarium for three years. The time just flies by! It seems like only yesterday (when it was actually six years ago) that I first applied to be a volunteer at the Aquarium. If you have ever wondered what it takes to be a penguin biologist or what it is like working with over 80 penguins everyday, continue reading as I answer some commonly asked questions about working with penguins here at the Aquarium. Q. What made you first realize that you wanted to work with marine animals as a career? When I was growing up I think I spent more time in the water than dry. If I wasn’t at swim practice I was either playing in the pool or at the beach. I loved being in the water! I also loved animals! So I knew at a pretty young age that I wanted to merge my two loves and work with marine animals, the exact kind of animals I wanted to work with would change constantly. Q. What sort of educational background do you have? I received a Bachelor of Science degree at UMASS Dartmouth, where my major was marine biology. Q. 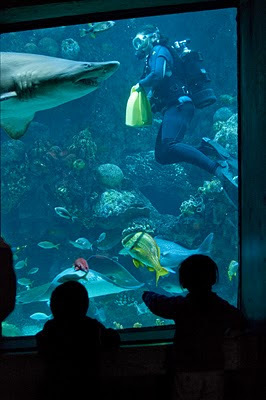 How did you first break into the New England Aquarium? 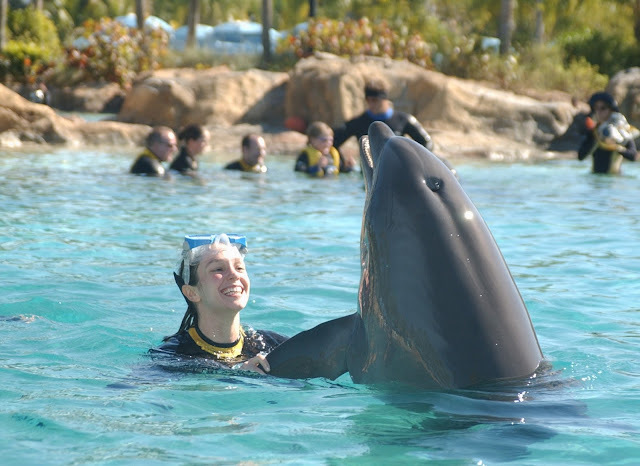 It actually took me visiting SeaWorld in Florida during my junior year of college to become interested in volunteering at the Aquarium. I was asking one of the employees who was working with the dolphins if they had any tips on how to find a career working with marine animals. She suggested getting as much experience possible. She also asked where I was from, and when I said Massachusetts she mentioned that the New England Aquarium is a great place and I should look there. As soon as I came home I applied to be a visitor education volunteer. Little did I know that six years after that visit to SeaWorld in college that I would be going to SeaWorld again to pick up seven rockhopper penguins to drive back to Boston to join our colony. Q. Did volunteering naturally lead to a full time position? Technically it did, but it took many years, many different departments and a lot of patience. 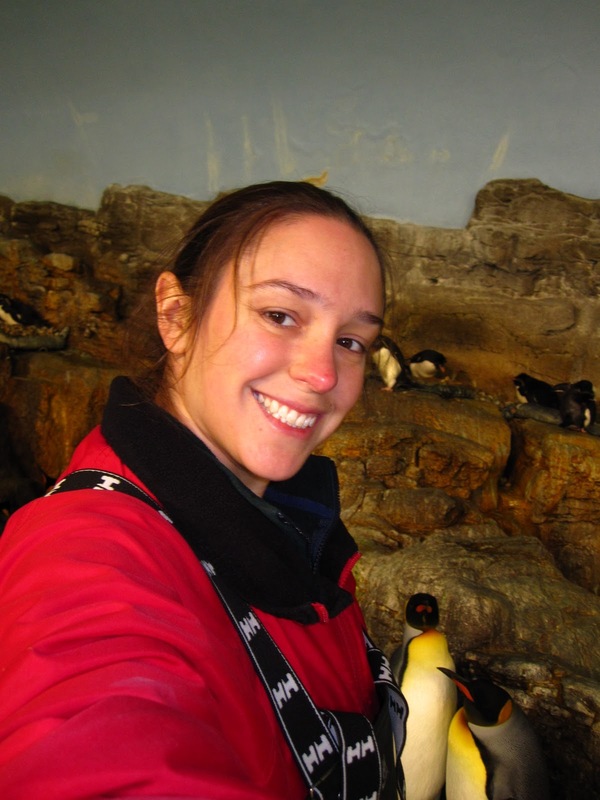 After I spent about a year as a visitor education volunteer I became a penguin colony volunteer. Then I got a part time job at the Aquarium in the Education department. After that, I got the opportunity to become a temporary staff member in the penguin area. I spent about two years splitting my time between education and penguins until a full time penguin aquarist position opened up. Q. What's the best part about working with the penguins? The best part of working with the penguins is getting to know each penguin’s unique personalities, and being able to build relationships with all of them. Q. Have you had an opportunity to work with other animals at the New England Aquarium? That's me scuba diving in the GOT. Q. Do you have any advice for aspiring penguin aquarists? Get as much experience as you can as early as you can. The best way to do that is by volunteering. Not only will it introduce you to future employers but it will help you figure out if a career working with animals is right for you. It is a unique line of work often involving unglamorous tasks and is not always for everyone. Stay tuned to meet more of the penguin staff as they answer more questions about working with penguins.